Welcome to NBSIA’s Workers' Compensation department, where you have 24/7 access to resources about California workers’ compensation system and NBSIA’s related programs and services. 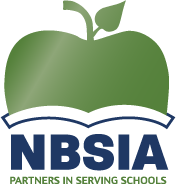 Each school district is assigned dedicated NBSIA staff who are knowledgeable and responsive, and committed to making the workers’ comp process as smooth as possible for all those impacted by work injuries. We welcome your feedback and hope you find this website useful!